My parents often tease me, "you're no longer a Spring chicken." And the reality hits, I'm in my mid-thirties, already had two children and there is not much I expect, other than just aging gracefully, focused on daily skin care and at least, a thrice weekly hair regimen which includes simple products. 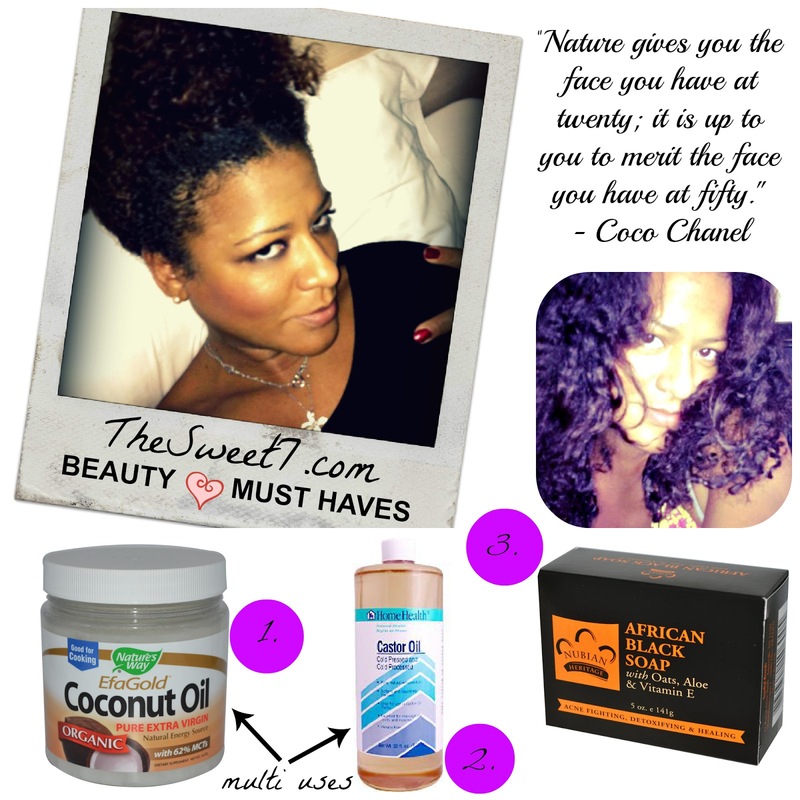 I use coconut oil on my hair to retain moisture and strengthen my strands. Also helps greatly when I am detangling my hair. Leaves strands manageable and shiny. And here are 101 uses for coconut oil. If your conditioner does not have enough slip (i.e hair strands do not easily separate when coated with conditioner and detangled), add a small amount of melted coconut oil to your conditioner. I also pour my melted coconut into a spritz bottle, spritzing it on hair and skin when necessary. I section my hair, and saturate my hair with coconut oil. Applying from the roots to ends. Then I cover with either a shower cap and or satin bonnet. Leave in time: Any where between 15 minutes, to six hours to even over night sometimes. Usually my pre-treatment before I shampoo, or conditioner wash.
Not only do I use on my hair, but I apply it to my kids' skin. And as summer draws nearer it will become my tanning oil. Recently I had a squeaky door that I was nervous may wake my sleeping baby, so I sprayed the hinges. Problem solved. My most interesting recent discovery was that coconut oil can be used to make a Coconut Creme Natural Hair Relaxer. Increases hair growth (scalp, eyelashes, eyebrows). Treats dry or dandruff scalps. Warm castor oil before applying to scalp. As a child, I remember drinking castor oil during summer vacation to rid the body of worms. I now massage it into my scalp and use it to seal my ends. I don't coat my hair with it. It is just so thick and feels like it weighs down my strands. I massage my scalp at least 2 times a week with castor oil. Since I don't coat my hair with it, I am able to leave it in without washing my hair. Relieves acne and oily skin, as well as inflammatory conditions like eczema. Gets rid of acne scars. A little goes a very long way. This soap lasts forever. Can be used on face, body or to shampoo hair. I brush the soap in circular motions onto my face. Then, I rinse my face.